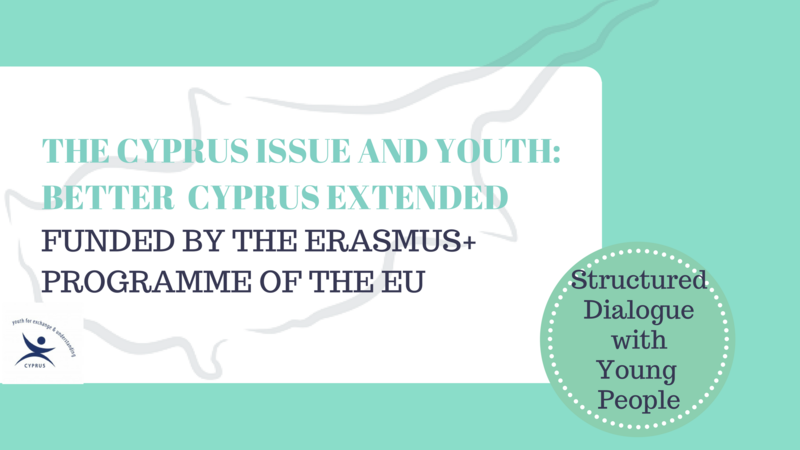 "The Cyprus Issue and Youth: Better Cyprus Extended" is released today! We are happy to announce that the project “Better Cyprus Extended” is released today by our organization. 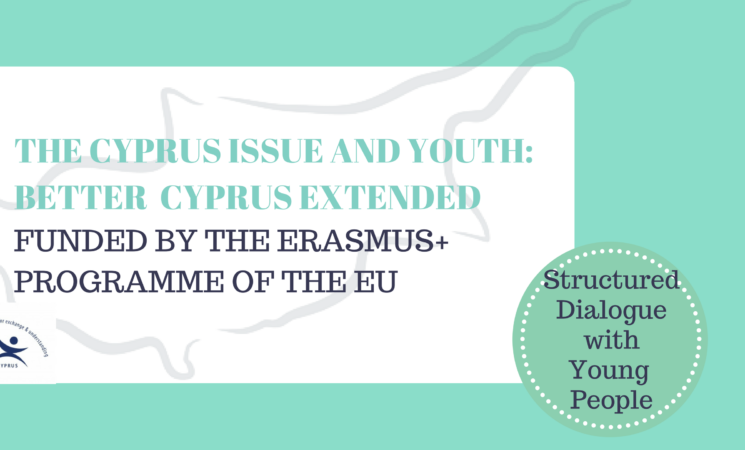 This project is funded by the Erasmus+ programme of the EU under Key Action 3 (Support for policy reform- Structured Dialogue) and it is led by Youth for Exchange and Understanding (YEU) Cyprus. The aim of the project is to record the views of all young people, from all the groups and communities in Cyprus, with regards to the Cyprus issue. A first part of the project called “Better Cyprus” was released on the 1st of February and it started with a focus group which gathered Greek Cypriot and Turkish Cypriot young people and it continued with the release of a questionnaire in order to gather more information on the issue. In addition, a three-day conference took place in March, hosting reputable speakers and policy makers. The second part of the project, “Better Cyprus Extended”, was released on the 1st of September. It is designed to reach more young people from all the communities in Cyprus and to reach in deep results on the Cyprus issue. An important action of the project is a two – day conference that will take place on 1 - 2 October in Nicosia, with the purpose of bringing together more speakers, participants and policy makers for exploring potential recommendations for a better Cyprus.